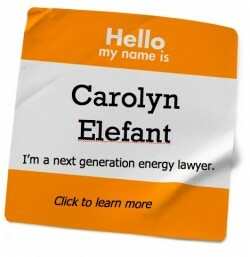 Update – March 13, 2013 – Legislative fix to Missouri’s lack of power to intervene at FERC is underway. Turns out, the Missouri Public Service Commission – and perhaps other state commissions – may have been wrong about their ability to intervene as a matter of right in Federal Energy Regulatory Commission (FERC) proceedings. In State of Missouri Ex Rel. 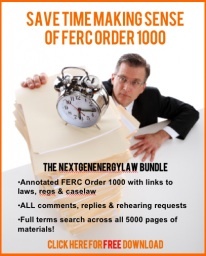 MoGas Pipeline v. Missouri PSC (April 17, 2012), a blockbuster opinion with far-reaching implications, the Missouri Supreme Court, sitting en banc, ruled that Missouri PSC does not have authority under Missouri law to intervene in FERC proceedings. That’s an enormous blow to Missouri ratepayers given the increasing federalization of energy regulatory policy and the substantial impact of FERC rulings on state regulation. In fact, it was the transition from state to federal jurisdiction that gave rise to the MoGas Pipeline ruling. In 2008, two state jurisdictional pipelines combined to form the MoGas Pipeline, and in doing so, emerged as an interstate company subject to FERC’s exclusive jurisdiction. As a result, much of the regulatory action concerning MoGas’ activities moved to FERC, with MoGas making various regulatory filings to upgrade its system and modify gas tariffs at FERC and the Missouri PSC dutifully intervening as a matter of right under Rule 214 and occasionally protesting MoGas’ filings. In other words, nothing more than business as usual in the energy regulatory industry. That is, until someone at MoGas came up with the bright idea of challenging the Missouri Commission’s authority to intervene in the FERC proceeding. In 2008, MoGas filed a petition at the PSC arguing that Missouri law did not authorize the Missouri Commission to intervene at FERC. Not surprisingly, the Missouri Commission denied the petition but MoGas didn’t drop the matter. The challenge to the Missouri Commission’s authority wended its way through the courts, eventually landing before an en banc panel at the Missouri Supreme Court. Although the court’s decision barring the Missouri Commission from intervening is unprecedented, the court’s reasoning itself is quite straightforward and fairly standard black letter regulatory law. The Missouri Court began with the oft-cited premise (indeed, I have cited it myself!) that the Missouri Commission “is a creature of statute,” its powers are limited to those conferred by statute, and if a power is not granted by statute, then the Commission does not have that power. Nothing new here. Next, the court went on to review the Missouri Commission’s enabling legislation – and found that the statute did not empower the Missouri Commission to intervene. One statutory provision, Section 386.210.1, provides that the Missouri Commission may “confer” in other proceedings – but the court ruled that conferring means to contribute or hold a conversation and therefore, is not the same as intervening, a legal term of art that confers party status. The court also found that the Missouri Commission’s ability to hold “joint hearings” did not authorize intervention either. Finally, while the court acknowledged that FERC’s Rule 214 permits state commissions to intervene, it held that “federal permission to intervene is not equivalent to authority to intervene” which may only be granted by the Missouri legislature.